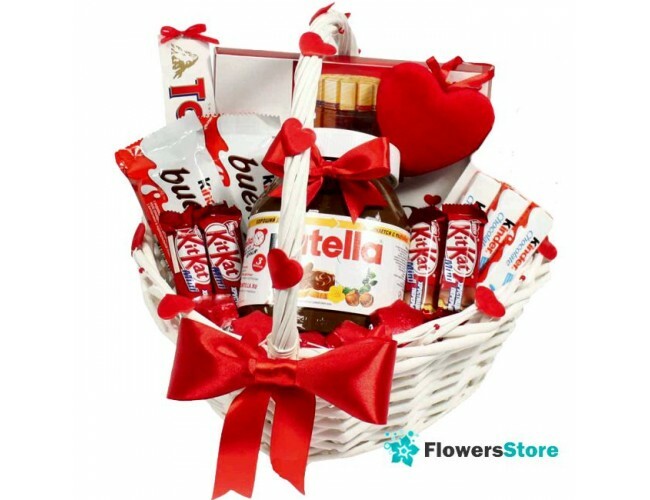 The composition of the basket: box of chocolates "Merci", Nutella, 2 bars "Kinder Bueno", 3 small bars "Kinder Maxi", 4 bars "Kit-Kat", a chocolate bar. 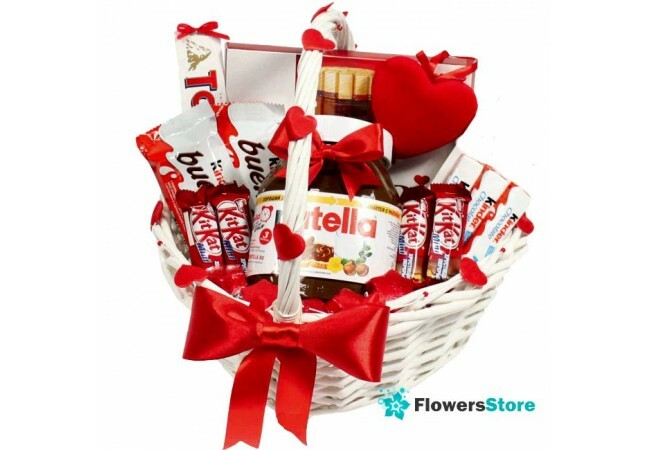 basket decoration. the basket can be replaced with the same type. in case of absence from stock.